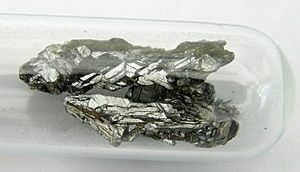 Arsenic is a moderately unreactive element, similar to copper in reactivity. 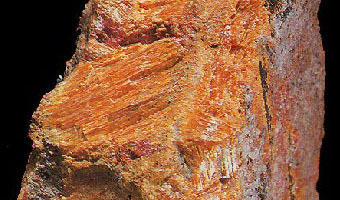 It burns in air to make garlic-smelling arsenic trioxide. Arsenic, as well as some of its compounds, do not have a liquid state; they sublime. 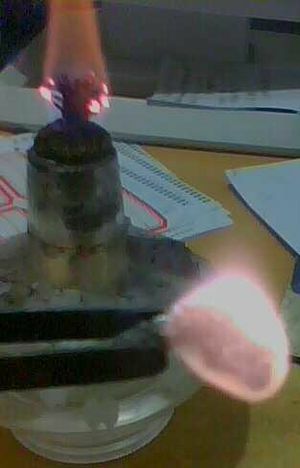 Arsenic reacts with fluorine to make arsenic pentafluoride. It reacts with the rest of the halogens to make the arsenic trihalides. Arsenic does not dissolve in hydrochloric acid. It dissolves in concentrated nitric acid to make arsenic acid and in dilute nitric acid to make arsenious acid. 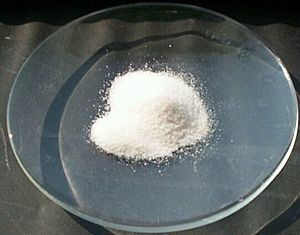 It reacts with concentrated sulfuric acid to make arsenic trioxide. Arsenic burns with a pale lavender flame. Arsenic Facts for Kids. Kiddle Encyclopedia.